July is National Blueberry Month, marking the time of year when blueberry sales are at their peak. During the summer, most Americans will enjoy a delicious blueberry pie or muffin, and they’ve learned since childhood that blueberries pack a strong nutritional punch. Yet some Americans may not recognize the many health benefits of Mother Nature’s super-fruit, which make blueberries so good for us. 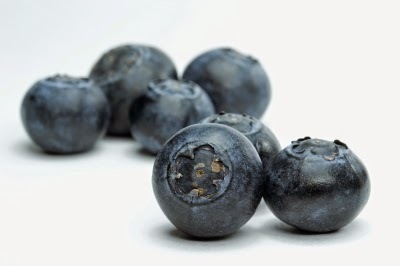 The benefits stem in part from the fruit’s key ingredient – pterostilbene. Pterostilbene is a powerful natural antioxidant that, as shown in published research, holds great promise for the support of heart health, cognitive function, anti-aging and the management of weight, blood sugar and metabolic health. These benefits were outlined in the results of a clinical study conducted by the University of Mississippi. Pterostilbene is similar to another, more well-known, antioxidant called resveratrol, which is naturally found in grapes and wine. But, pterostilbene has several significant advantages over resveratrol, including superior bioavailability, seven times longer half-life in the body and greater oral absorption. In his video blog, natural ingredients industry leader Frank Jaksch discusses the benefits of pterostilbene, both in blueberries and as an independent ingredient, and explains why he has been taking pterostilbene orally on a daily basis for more than three years. That said, blueberries are obviously a delicious addition to any meal, especially for those looking to take advantage of the many health benefits of pterostilbene this season.